Group meetings are easy and intimate in this beautiful meeting space equipped with full audio, visual and global web conferencing capabilities. 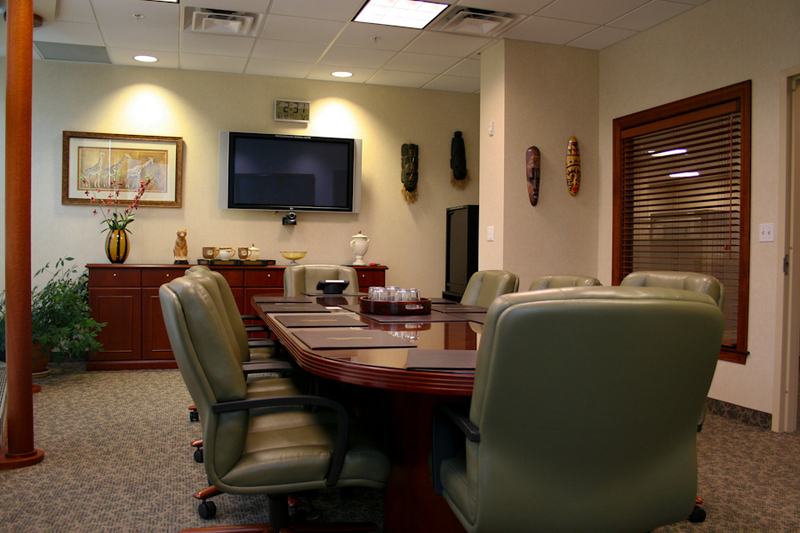 With seating for twelve, our larger board room is sure to meet the needs of your next group gathering. Equipped with global video-conferencing and audio-visual capabilities, this quiet space is sure to add elements of professionalism and productivity to any meeting. 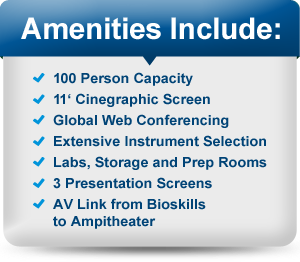 Stream visual aids on our 46” plasma screen for an easy to view, efficient presentation. Book our larger conference space alone or in conjunction with a larger facility function!